Ed. by Risto Miikkulainen, James Bednar, Yoonsuck Choe et al. 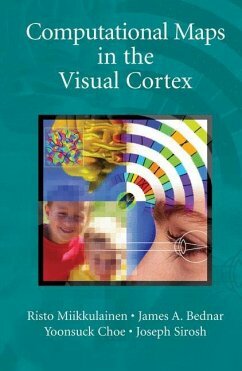 For more than 30 years, the visual cortex has been the source of new theories and ideas about how the brain processes information. The visual cortex is easily accessible through a variety of recording and imagining techniques and allows mapping of high level behavior relatively directly to neural mechanisms. Understanding the computations in the visual cortex is therefore an important step toward a general theory of computational brain theory. Biological Background.- Computational Foundations.- LISSOM: A Computational Map Model of V1.- Development of Maps and Connections.- Understanding Plasticity.- Understanding Visual Performance: The Tilt Aftereffect.- HLISSOM: A Hierarchical Model.- Understanding Low-Level Development: Orientation Maps.- Understanding High-Level Development: Face Detection.- PGLISSOM: A Perceptual Grouping Model.- Temporal Coding.- Understanding Perceptual Grouping: Contour Integration.- Computations in Visual Maps.- Scaling LISSOM simulations.- Discussion: Biological Assumptions and Predictions.- Future Work: Computational Directions.- Conclusion.